Authorities in the Philippines have declared an outbreak of the highly contagious measles virus in the capital, Manila. Data showed 196 people had contracted measles between 1-19 January, compared to only 20 cases in the same period last year. Some 50 people - mostly children - are believed to have died from the disease, officials told local media. Authorities earlier said 2.4 million unvaccinated children were at risk. "Parents should not wait for complications to set in because it might be too late," he said. 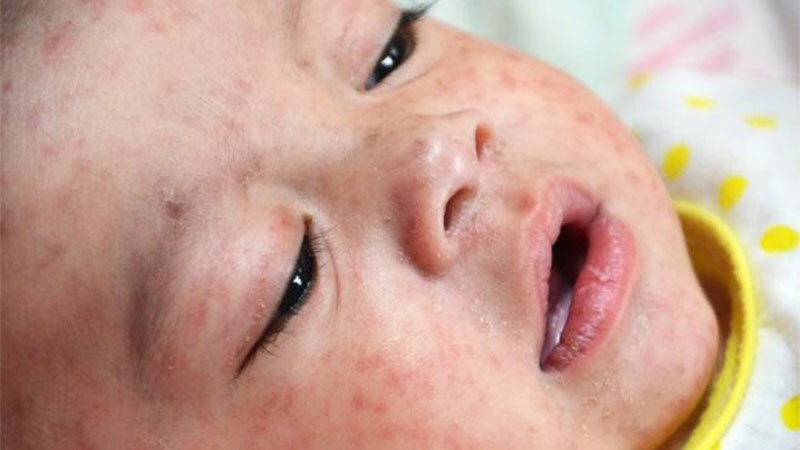 Other than the confirmed cases, at least 861 suspected cases of measles have been reported as of 2 February, the Department of Health (DOH) said on Wednesday. "We are declaring an outbreak as cases have increased in the past weeks and to strengthen surveillance of new cases and alert mothers and caregivers to be more vigilant,"Duque said in a statement. On Thursday the DOH expanded the outbreak area to include other parts of the Philippines. People in the country have been reluctant to have their children immunized at government health centres, after complications related to a dengue vaccine, Dengvaxia. In 2018, 3,646 measles cases were reported in Metro Manila, compared to 351 cases in 2017, local media report.